The alert, issued at 6.00am on Friday morning according to Barcelona based newspaper La Vanguardia, was put in place because of a strong anticyclone that is currently preventing the dispersion of nitrogen oxide particles in the atmosphere. On Monday, January 12, environmental experts will test the air quality in the city to see if the pollution alert can be lifted. 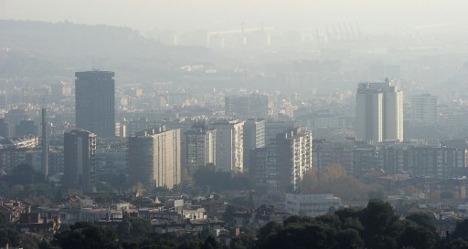 The pollution alert is part of the Plan to Improve Air Quality, which was passed in September 2014, which the objective to comply with the limits set by the city's laws. The city's topography and geographic location are also contributing factors. When there is lack of wind, the mountains behind Barcelona can service to trap toxic smog. GAES Chicas home at last!